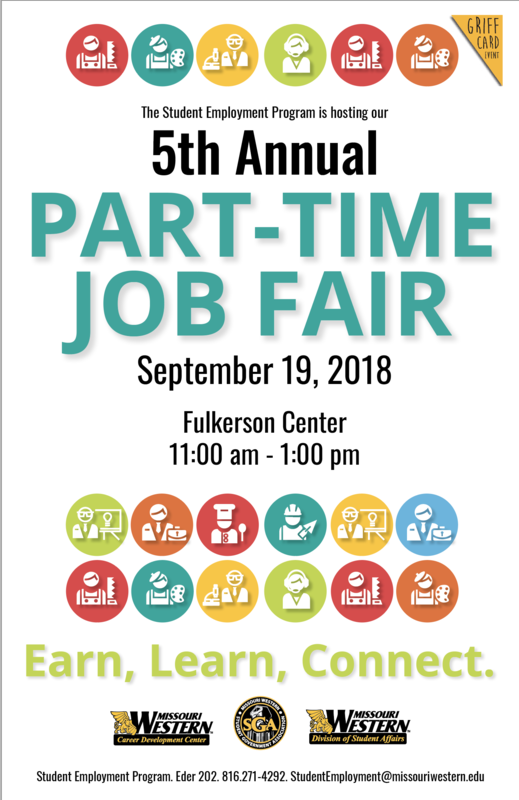 The Student Employment Program in the Career Development Center at Missouri Western State University will hold its fifth annual Part-Time Job Fair from 11 a.m. to 1 p.m. Wednesday, Sept. 19 in the Fulkerson Center. On-campus and off-campus employers will meet with students to talk about current and future part-time job opportunities. Employers who want to participate can contact the Student Employment Program at 816-271-4292 or email studentemployment@missouriwestern.edu.